Harbin's 30th Ice and Snow Festival Is Spectacular! For most of us, building a snowman or even an igloo is hard enough. So you can only imagine the effort, skill, and patience, it takes to build not just giant sculptures, but also, towering castles and beautifully chiseled buildings using just ice and snow - That is exactly what happens annually, in the city of Harbin in Northeast China. Now in its 30th year, the Harbin International Ice and Snow Festival that features over 7,000 snow and ice sculptures, is the one of the largest of its kind. 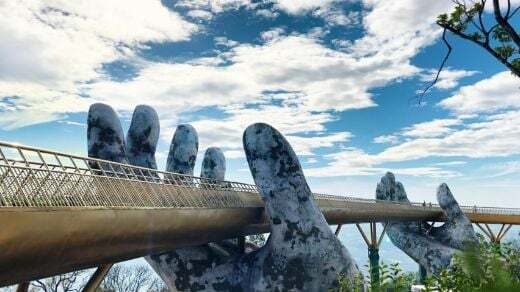 The work on these fabulous albeit temporary structures, begins in late December when sculptors and artists from all over the world descend upon the region. Using ice pickers, lasers, and chisels they begin by cutting through over 180,000 square meters (1.93 mm square feet) of ice from the nearby frozen Songhua river and hauling it over to the festival grounds. Then with the help of over 150,000 square meters (1.61 mm square feet) of snow, they begin crafting, sculpting and building, their masterpieces. 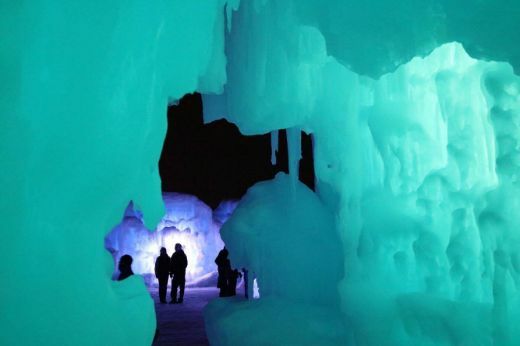 Some focus on life-sized sculptures while others, build intricate ice castles. The beauty is that the festival comprises of different structures each year. This year, among the highlights is a replica of the Hallgrimskirkja church in Reykjavik, Iceland. The tallest ice sculpture ever built, it was constructed with 12,000 square meters (129,000 square feet) of chiseled ice and measures an impressive 46 meters (39,000 feet) tall. 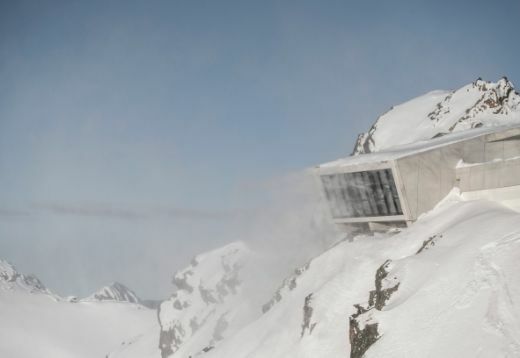 Also, unlike the original, this one features a 240-meter (787 feet) ice slide, for visitors to enjoy! There are also replicas of Rome's Colosseum, New York's Empire State building, the Great Wall of China, and even the giant ducky in tribute to Dutch artist, Florentijn Hofman, who has been 'spreading joy' across the world, with his plastic version. What makes the ice festival even more unique is the thousands of LED lights fitted inside the buildings that help transform it into a magical wonderland at night. The best way to view each structure is by walking whilst sipping the complimentary hot tea served from thirteen strategically located stations. However, for those looking for a fairy-tale like experience, there is also the option of touring inside one of the many horse-drawn carriages that can be rented for a small fee. For visitors looking for a little more excitement or something to do during the day, there is the opportunity to head down to the icy waters of Songhua River for a quick dip, practice their 'triple lutz' on the ice skating rink and even show off their snowboarding slalom skills on the snow covered hills. And if they just want to relax and let others do all the hard work, North Korea's Pyongyang National Acrobatic Troupe is happy to oblige, with their live action and ice fashion show. This year's festival which opened on January 5th, will welcome visitors till March, if the frigid weather holds. And while it may not appear to be so, that is the best time to visit, because the last visitors not only get to enjoy the sculptures, but also, bring them down, one ice pick blow at a time! But before you dash to volunteer for that fun job, do keep in mind that temperatures in Harbin average a numbing -1°F (-18°C). Started as a garden ice show in 1963, the festival was banned during China's cultural revolution from 1966-1976. It was not until 1985 that the locals decided to resurrect the event as a way to attract visitors to the cold city. Over the years, it has becoming increasingly popular and more sophisticated, especially since many of the structures and artists are now sponsored by big corporations. The officials are hoping that the 30th anniversary celebration, the grandest in the festival's history, will attract over one million visitors - their biggest turnout yet! How much ice and snow is used in the Harbin Ice and Snow Festival each year? Where do they get it from? What are some of the highlights this year? Would you swim the icy waters of the Songhua River? Why or why not? I want to go there for my birthday next year. Kavi Dolasia. “Harbin's 30th Ice and Snow Festival Is Spectacular!.” DOGOnews, DOGO Media, Inc., 19 Feb, 2014, www.dogonews.com/2014/2/19/harbins-30th-ice-and-snow-festival-is-spectacular. Accessed 19 Apr. 2019. Dolasia, Kavi. “Harbin's 30th Ice and Snow Festival Is Spectacular!.” DOGOnews, DOGO Media, Inc., 19 Feb, 2014, Web. 19 Apr. 2019. Dolasia, Kavi. “Harbin's 30th Ice and Snow Festival Is Spectacular!.” DOGOnews. February 19, 2014. Accessed April 19, 2019. https://www.dogonews.com/2014/2/19/harbins-30th-ice-and-snow-festival-is-spectacular.